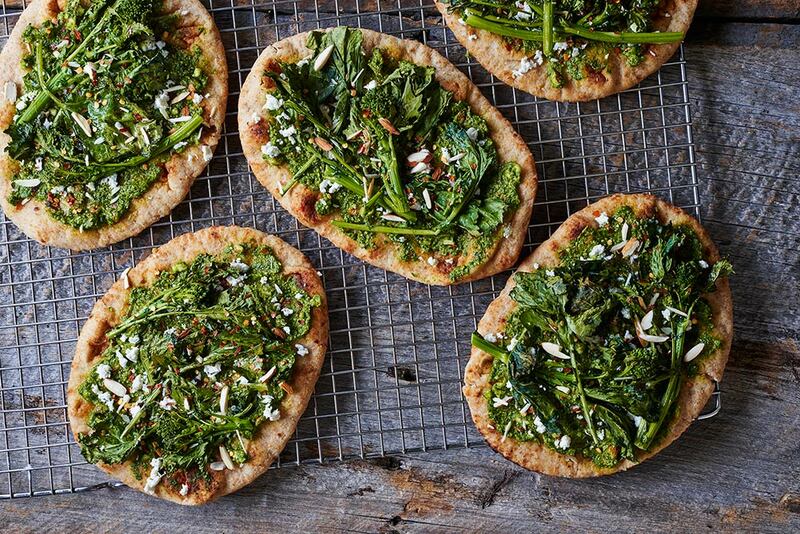 These bold flatbreads feature spicy basil-almond pesto, roasted broccoli rabe and salty feta. 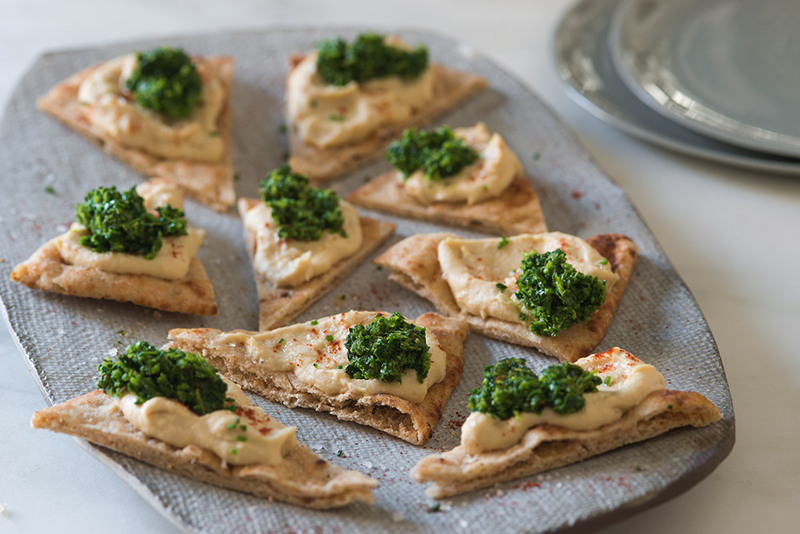 They make a wonderful party appetizer or light meal. 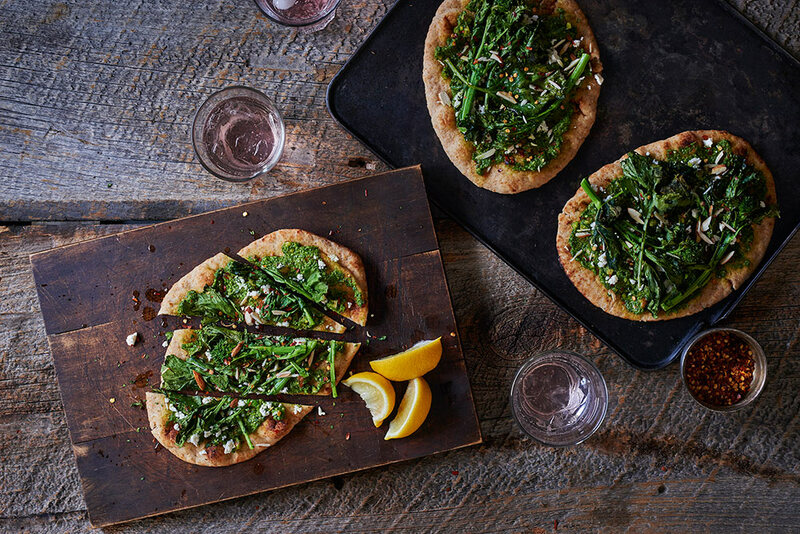 Instead of naan, you could use pita bread or one 12-inch pizza crust. Feel free to substitute pine nuts for the sliced almonds, goat cheese for the feta or arugula for the basil. 1. Preheat oven to 425°F. 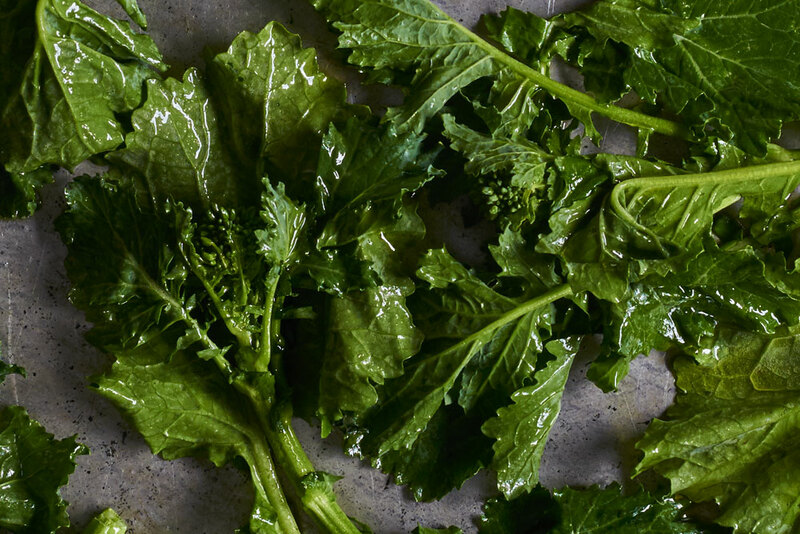 Prepare the broccoli rabe by rinsing it and patting it dry. Slice off the tough lower ends and any stems that are greater than ¼-inch in diameter. Toss the rabe with a light drizzle of olive oil and a sprinkle of salt and pepper. 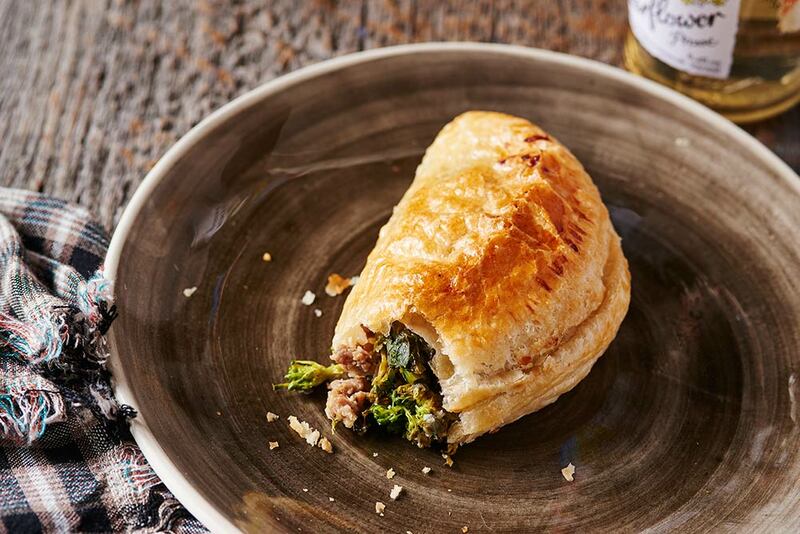 Rub the olive oil onto the leaves to make sure the rabe is lightly and evenly coated with oil. Set aside. 2. In a food processor or blender, combine the basil, almonds, Parmesan, garlic, lemon juice, salt, and a few twists of freshly ground black pepper. 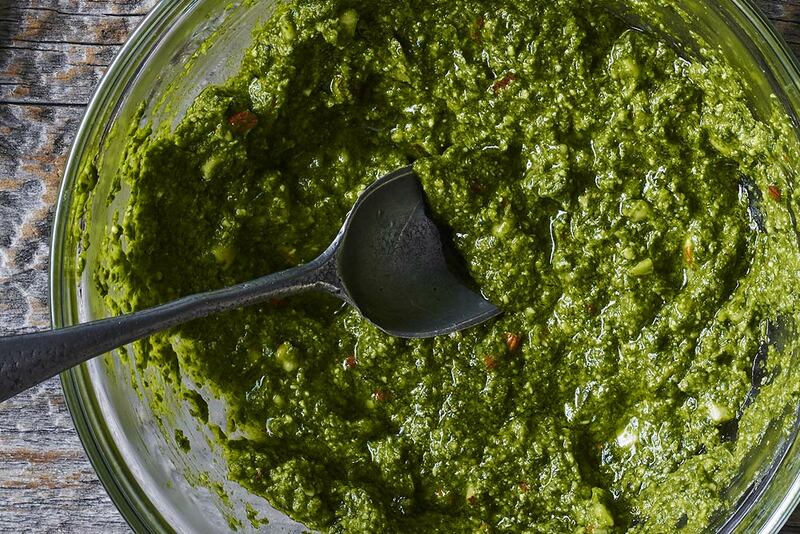 Process the pesto while slowly drizzling in the olive oil, until the mixture is relatively smooth and uniform. 3. Place the naan on an oven-safe metal cooling rack, if you have one (the rack helps the naan get nice and crisp). If not, just place the naan directly onto a baking sheet. 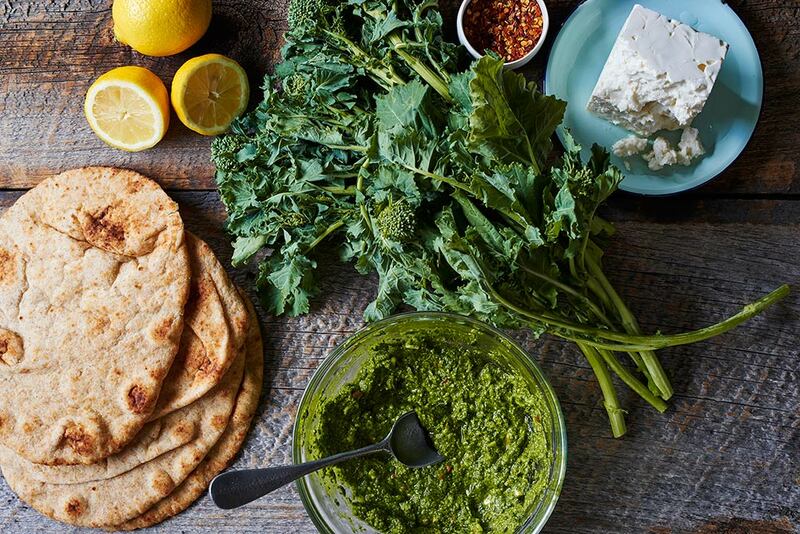 Spread pesto on the naan and top with crumbled feta cheese. 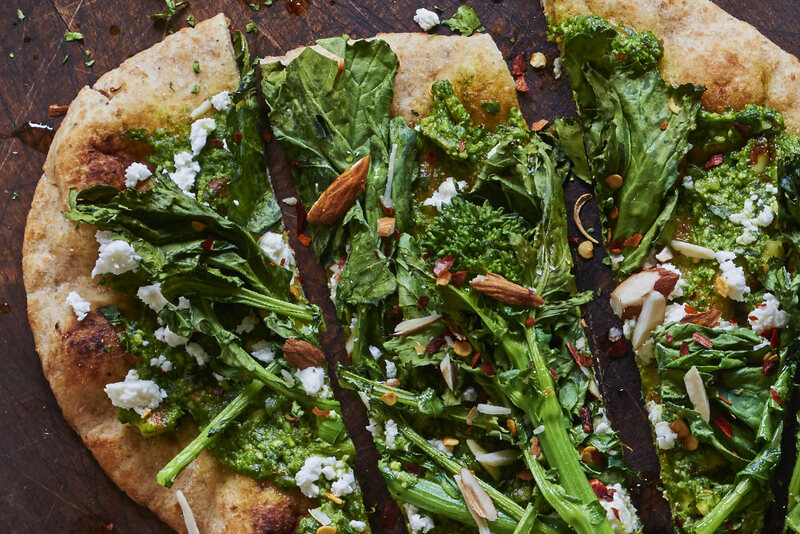 Top with an even layer of broccoli rabe and a light sprinkle of sliced almonds. 4. 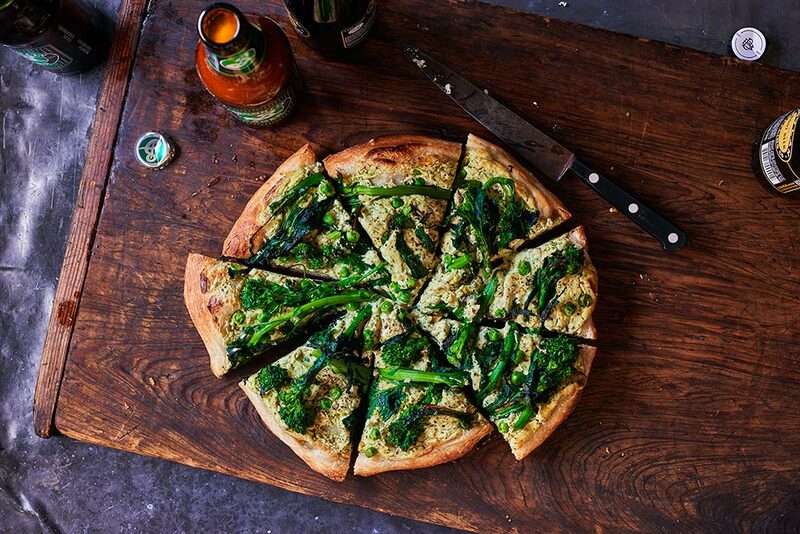 Bake until the broccoli rabe is tender and the leaves are deep green and crispy, about 8 to 9 minutes. Squeeze a small wedge of lemon over the naan and top with a light sprinkling of red pepper flakes. Let the naan cool slightly before slicing it with a sharp knife or pizza cutter and serving.